While I don’t find it beautiful , it is visually interesting , like most buildings . 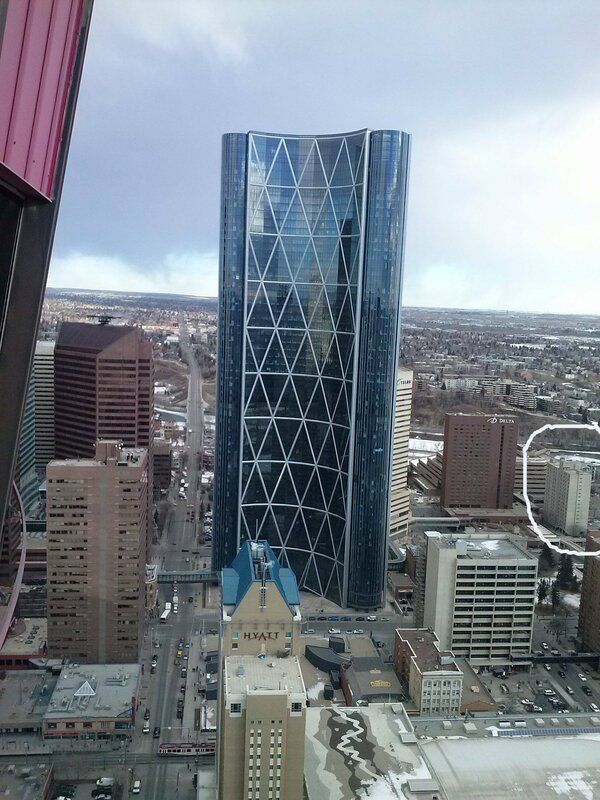 Calgary has a new skyscraper called The Bow . I lived downtown when they started construction on it 4 years ago and it’s a massive 775 feet that covers the majority of two city blocks. It’s the tallest building in Canada outside Toronto. I took a picture from my apartment window when it was just a hole in the ground and unfortunately it was going to cut out my tiny view I had of the mountains. I’d rather see the mountains from afar then skyscrapers that are billboards . Anyway, the tower is made of steel. 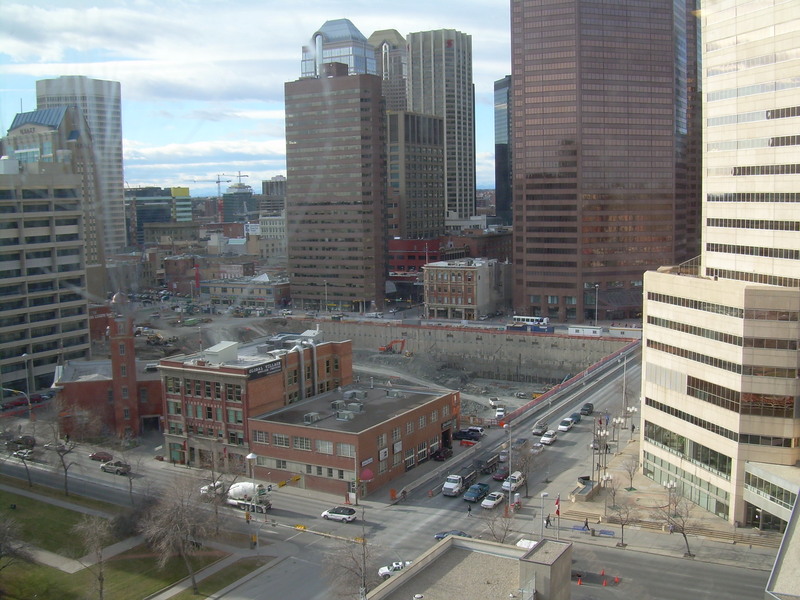 I was looking through my archives and figured I’d post an update on the newly finished Bow Tower and the picture I took when it used to be a giant hole. ← What percentage of Americans believe in the devil?